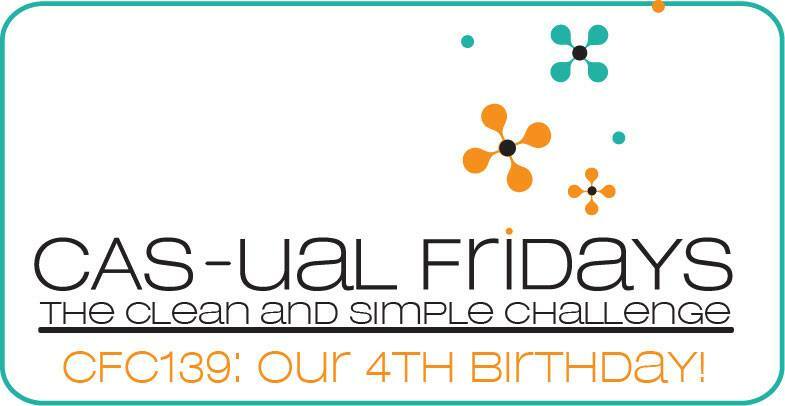 For this birthday month, the challenge is make a card that includes the colours of CAS-ual Fridays. They are : white, orange, black and turquoise. Not a colour combination I've used but I love the challenge and I hope you like it. I used some washi tape to make some stripes on my watercolour paper using my Evergreen Bough Distress Ink. To add the orange, I thought I'd add some flowers using the Casual Trees Dies to the borders of the card. Finishing it up with a bold black center with a stark white embossing sentiment from the Bold Wishes Set.